An notable step of creating a podcast, especially for the purpose of making it sound professional, is adding production--such as background music and incorporating sound effects. 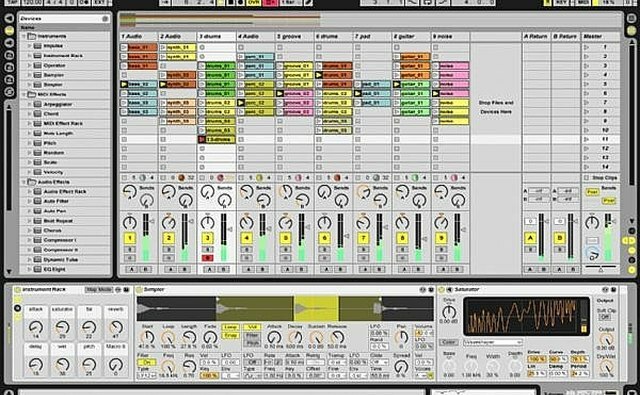 Ableton Live has won awards for its music production capabilities (it was used to produce Beck's Guero), and bot Ableton Live and it's simpler version, Ableton Live Lite, can be used for podcasting. Think about what production values you want to add to your podcast in order to make it more interesting. 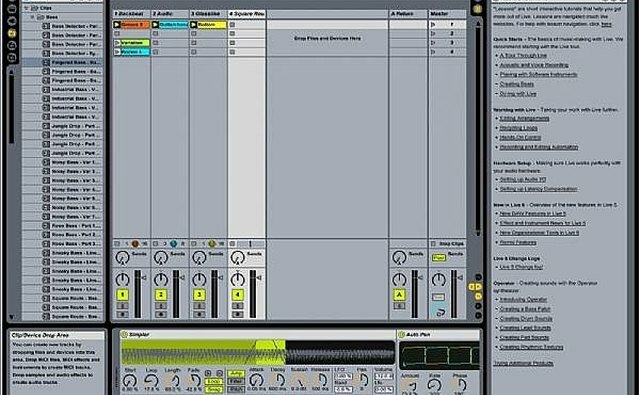 Ableton Live lets you compose, record, remix, improvise and edit your musical ideas, so take a moment to figure out how you envision your podcast. You can record directly into this program, by hooking up a microphone and pressing record, which is on tool bar on the top of the program. Or, if you have finished your audio recording already, you can just upload it into Ableton Live. 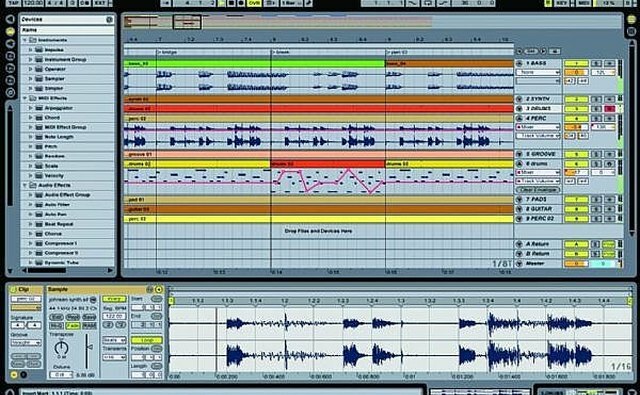 Once you have your audio recording, Live Lite gives you four audio tracks and four MIDI tracks, which allows you to play around with the tempo of your music, throw in drum loops, and make multi-track creations. The software is made out of tracks, so what you want to do is drag your audio or sample clips into the track slots. Hit Play to hear how your selection sounds. 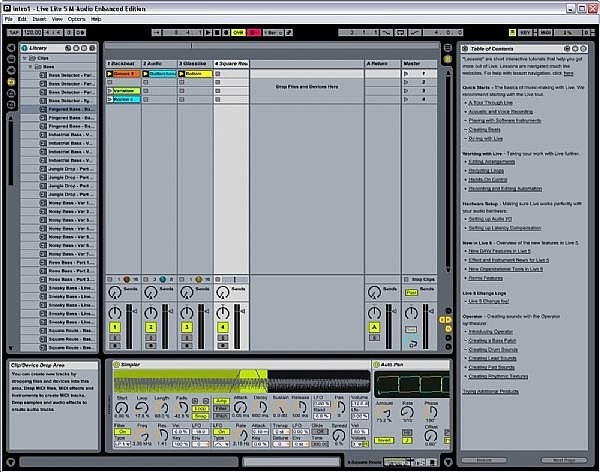 There are two ways you can work within the Ableton Live software. "Session view" gives you a different way to create music outside the traditional linear timeline. The tracks with the vertical lines (near the middle lower left-hand side) are where your clips are. Try dragging and dropping effects in real time -- you can do all this while the tracks are still playing. 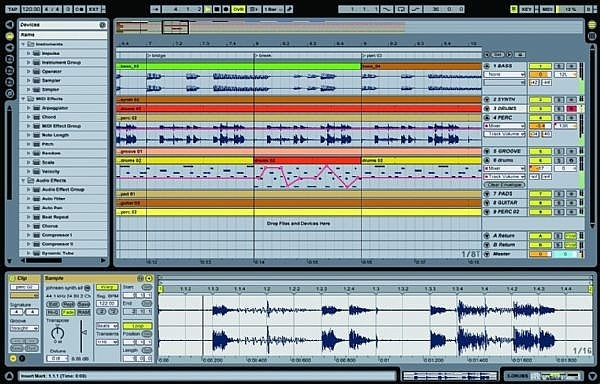 The "Arrangement View" is the more traditional way of editing and producing audio. This involves a linear timeline. Here, you can go back and edit everything until you're happy with it. After you are finished, export the file into a proper format. Mp3 is a safe format to have your podcast files. Next, you can publish the podcast either on a blog or a website, and you can also easily create an RSS feed with a provider like FeedBurner. You can also include your podcast in the iTunes Podcast Directory, so iTunes users can search for it. 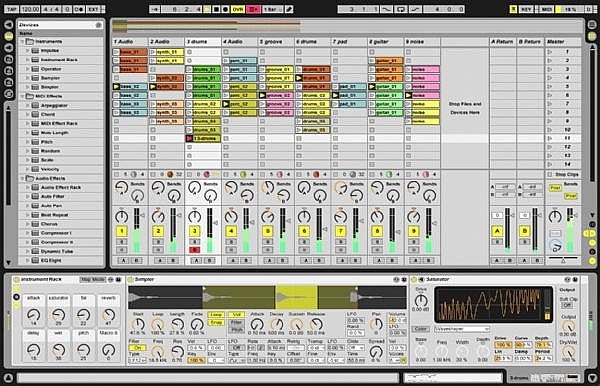 If you don't need all of these special features, Ableton Live Lite is a sparser version of Ableton Lite that has all the capabilities of recording a podcast. Appleton Live prides itself on allowing their users flexibility to use the software like an instrument. If you have the musical ear, be creative and play around with your own audio for intro, outro and transition music for your podcast. This software allows you to record stuff spontaneously and improvise. Take advantage and play around with different methods to find one that most suits your own style. If you want background music for your podcast, you can also create looping tracks, so a particular audio track can play in the background indefinitely. Make sure you don't use copyrighted music. There are plenty of royalty-free music sites that you can use without having to worry about legal issues.